"Buzzin in Branson" is a concise and easy to read list of major events and activities taking place in Branson, Missouri during the month being "Buzzed." Each issue contains the "Branson Buzz of the Month," and a list of the major special events, shows, and activities for the month. Skies around the Branson area will be ablaze with fireworks for the 4th of July; families are loving Disney's "The Little Mermaid;" and one of Branson's hottest tickets is its newest show, the Million Dollar Quartet, a Tony Award-winning musical that tells the heartwarming story of how fate brought Johnny Cash, Elvis Presley, Jerry Lee Lewis, and Carl Perkins together for a once-in-a-lifetime celebration that became one of the most memorable nights in music history, December 4, 1956. Read entire article here. 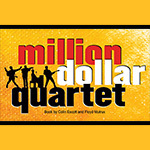 Discover the show that pays homage to the incomparable Andy Williams! 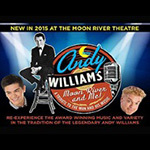 For as little at $219, you can see "Moon River and Me" starring Great Britain singing sensation, Charlie Green, and comedic magician, Chipper Lowell, and select from some of Branson's best lodging, like the Barrington or Baymont Inn. Add a night and add a show, like The Bretts or Legends In Concert; come for three nights at Christmas-time and you can add the Hughes Brothers Christmas Show. Both two and three night stays give you great choices, and secures your seat for the sensational "Moon River and Me!" View package here. 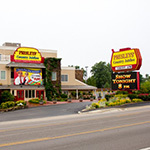 "Just about everyone who comes to Branson, wants to see the famed Branson Strip and will, whether they want to or not because of its location," says Annette Wood, the Director of Sales and Marketing for the Branson Tourism Center. Here are some answers to the most asked questions about The Strip that we hope you will find interesting: Read entire article here. "Wow!" is my impression of the 2015 edition of the Acrobats of China featuring "The New Shanghai Circus" and starring the "Fenton Acrobatic Troupe." That's a big "Wow" for me because, as the show starts its 17th year in Branson, I have seen them perform about 14 out of those 17 years and, although it seems I have said this a lot over the years, this is absolutely the best yet. The world renowned skill, expertise and variety of exciting acts along with the great choreography, color and pageantry of years past is there, but it is presented in a brand new format that adds an entirely new dynamic to what was already one of Branson's most popular shows. When I went to see Jonah at the Sight and Sound Theatre in Branson as it premiered last year I did so in the context of having seen all of the spectacular Sight and Sound Branson shows, "Noah, the Musical," "Miracle of Christmas," and "Joseph." I expected to see a show with great music, vocals, spectacular sets and costuming presented as only Sight and Sound can do it. Well, I got what I expected and, in terms of what most people think about what swallowed "Jonah" a "whale" of lot more." Read entire article here. 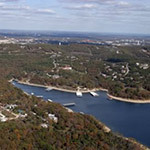 "Branson is one of the best vacation values in the country," said Annette Wood, the Director of Sales and Marketing for the Branson Tourism Center. "It becomes even more so if the great value of its lodging, shows, and attractions is supplemented by one or more of the "free" activities available for visitors to enjoy," she added. 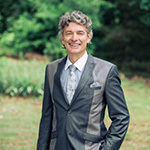 Mark McCauley's rich bass voice has been entertaining Branson audiences for over 30 years, during which time he has performed with a number of Branson shows and national stars. Currently, Mark is performing with Branson's premier quartet, "New South," in the Grand Jubilee show, where he's been since the show's inception more than 12 years ago. We hope you will enjoy this interview with this remarkable entertainer and individual! Read entire article here.